View cart “Aesop’s Fables – The Lion” has been added to your cart. The Buffalo Skull animal mask is a unique piece. This theatre mask combines masks from three different cultures. They are the indigenous peoples of North America, African tribal masks for dance and the Balinese Topeng. The Buffalo mask is also similar to the masks worn by the primitive dancers depicted in the cave drawings found in France. This mask is the mask that began them all. It is a mask of the hunted and the hunter at the same time. 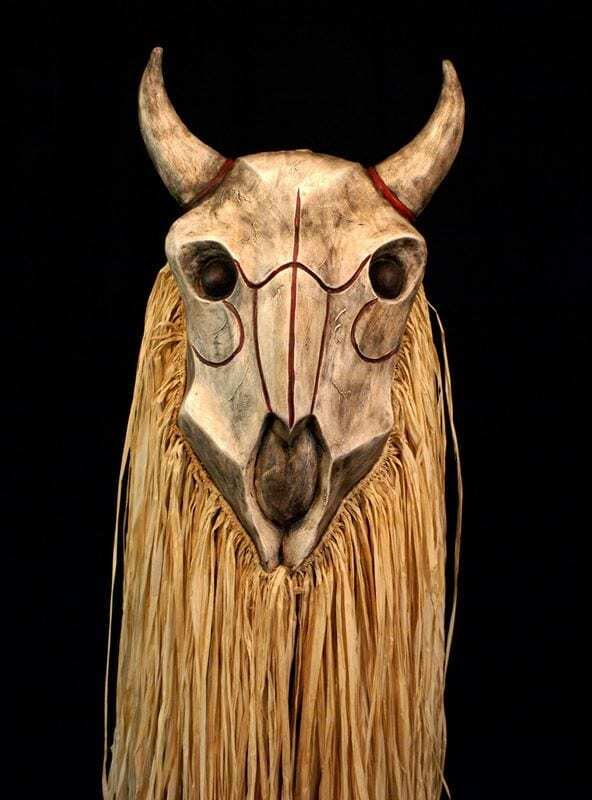 The Buffalo mask was created for a Performance given by master Mask Maker Jonathan Becker in Nanjing, China in 2011. 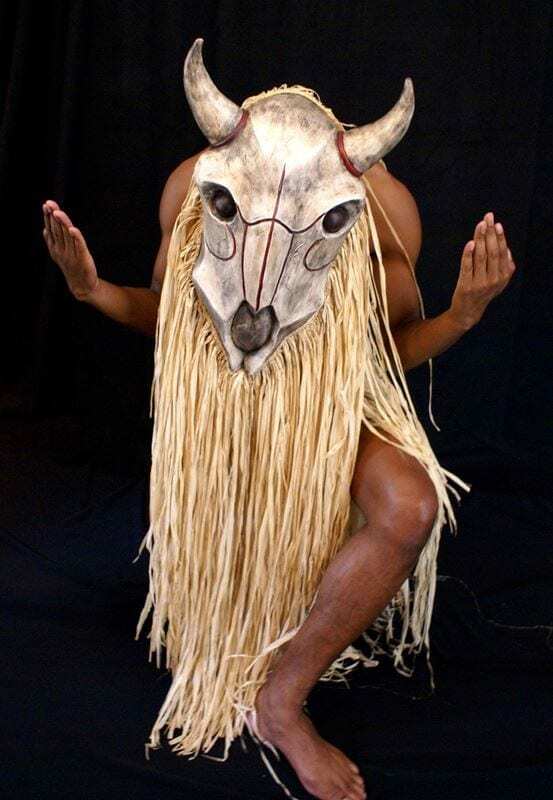 This mask is designed to be worn much like the ritual African masks for dance. It is worn on the top of the head and when danced the dancer is looking down at the earth in order to make the face of the mask visible. This animal mask is made out of neoprene, plastic raffia and has a chin strap.